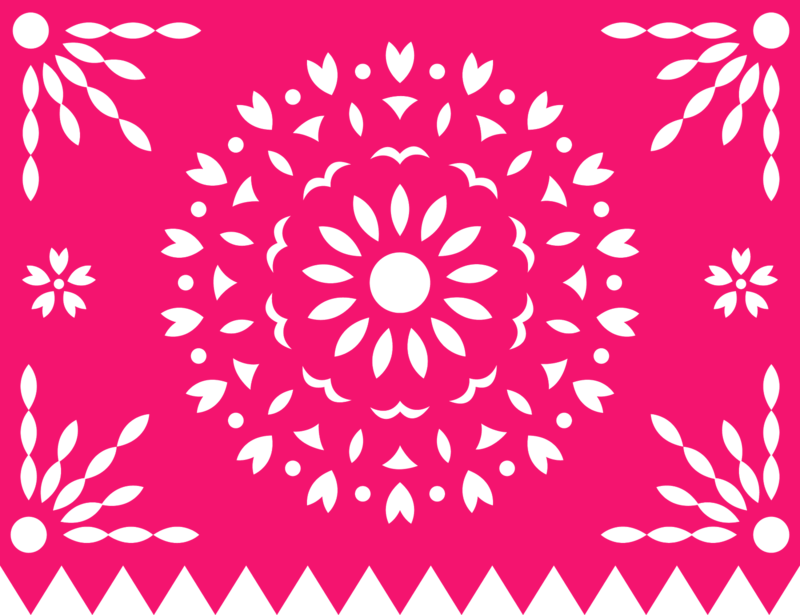 This is the first year that Iowa students have a chance to earn the state seal of biliteracy. As a member of the executive board I have been able to be a part of the recent excitement of this finally being passed last fall. This did mean that for all of us year one would be a learning year to try things out and then hopefully help our students achieve the seal of biliteracy in the future. Learning for me also included choosing and administering a standardized test in Spanish for the first time ever. Thanks to a great workshop from Laura Sexton at #IWLA18, I decided that I would try the AAPPL this year. 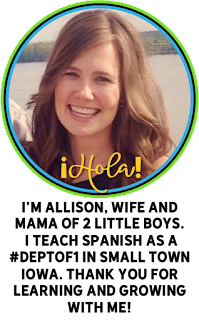 Learn all about AAPPL from Laura Sexton's many posts here. 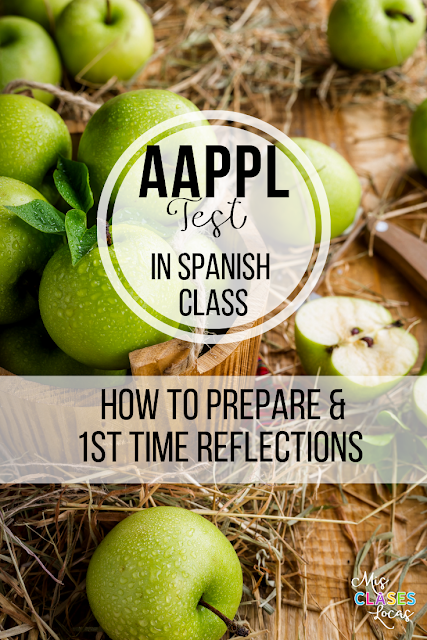 This year we let the AAPPL test be a voluntary option for students in Spanish III and IV. I had eight students take Form A (two Spanish IV and six Spanish III). I was also lucky that my supportive administrator found some funding to cover it this year for the small number of students interested. It is $20 per student for all four parts and I know some school gets talented and gifted funds, do fundraisers, or have students pay if they want to take it. It is a much more affordable option than the AP alternative. Just like many conference experiences I left Laura's workshop excited about the possibility of the AAPPL, but then did not do anything for months due to sheer overwhelm not knowing where to start. Luckily I happen to be in small school organized regional PD with some pretty awesome small town Spanish teachers, including Emily Huff. Emily takes action, was also at Laura's workshop, and started creating and sharing AAPPL prep materials and using AAPPL Aligned Rubrics. I am really glad that I finally started doing some AAPPL prep in III & IV a few weeks before the test, but now plan to drip them in all year in the future. (So note to myself next year, do not wait until a couple weeks before to do anything to get ready). When I sent Emily a panicked email a couple weeks before AAPPL after my student teacher left asking what she was doing to prepare. I decided to follow her lead, push my next novels back and do a couple week "AAPPL unit" in upper levels to practice tasks and skills needed on the test. No, not all students in these classes took the test, but everything we did were worthy communicative skills for any language class. (In the future I think I will have an AAPPL bite day once per week all year, rotating each week which skill we work on, plus maybe a couple weeks prior to really help students succeed. I am not at all about teaching to the test, but using similar style assessments year round would help students be comfortable). Here was our typical weekly plan for a few weeks, all using themes that would be on the test all taken from what Emily was doing. Using Laura's AAPPL bite Google Slide templates, students had the chance to read authentic readings and manipulate things around on the slides, in a similar fashion to the computer AAPPL reading test. I posted these as an assignment with "create a copy for each student" on Google Classroom. This way I was able to quickly spot check how students were doing and provide feedback. I normally do not do much on the Chromebooks due to translating, but by inserting pictures of text instead of typing directly on the slides, it helped the translating a bit. Progressive Question and Answer and 20 minute writing prompts, both from Emily's AAPPL prep materials. These were similar style prompts to the test and helped students to write multiple, complete little essays in a shorter amount of time, just like the test, which had six separate writing prompts. This is the part of the actual AAPPL test that by far took students the longest. - Timed conversations - Posters with topics (school, home, all about me, future careers) were placed around the room in chatting areas. Students rotated around to all topics and talked about each topic. - Rotating conversations - When I had two university students in my room, we each had a topic of discussion (community events, health, food) and students moved to each station after a 10 minute timer. - Floating conversations - Posters with topics (TV, movies, art) were placed around the room in chatting areas. Students floated around to all topics and talked about each topic with those with them there at the moment. I used our regular El Internado Fridays as our listening practice, but now I know we should have also done more Interpretive Listening more in the style of the AAPPL with tasks from the content list such as daily schedules and routines, about people, leisure activities, clubs, careers, community events, music, travel, science etc. 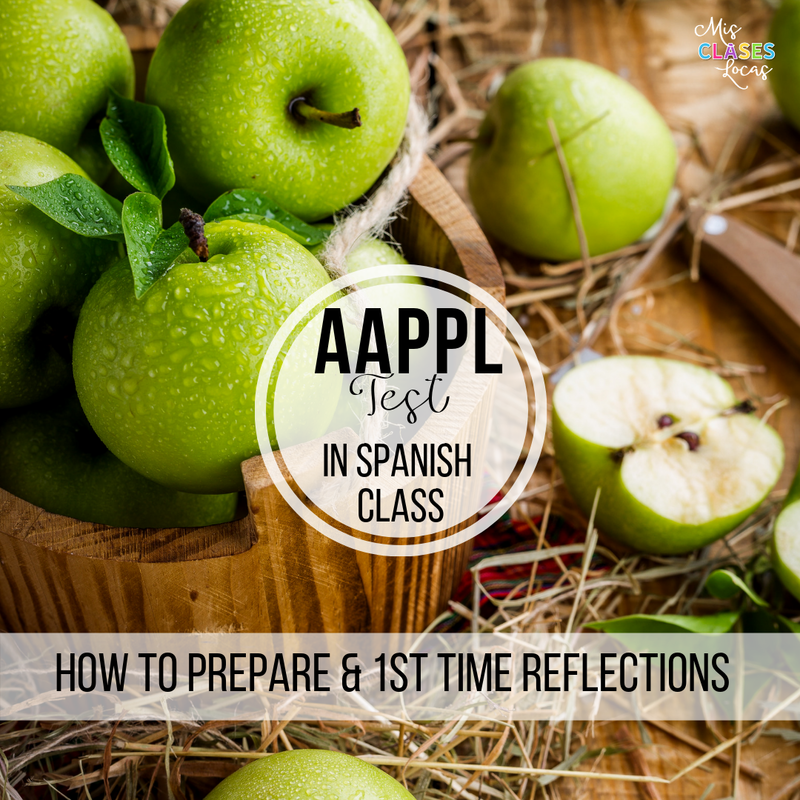 In the future I want to do more of the listening AAPPL bites, especially with a variety of native speakers different accents, as students said the variety of accents confused them. » Watch the video on the ABOUT page. » Review the Tasks & Topics page so you know what tasks and topics will be on the test. » Check out the tips videos on the Tips page. » Take the Practice Test on the Demo page. » Learn everything you ever wanted to know about AAPPL, and more on the FAQs page. I set up an account and ordered the tests for our school, entering all of the student info in a spreadsheet. Then they contact the school to pay after the tests are complete. We scheduled a sub for me with one morning for me to proctor in a computer lab (but students needed their Chrome books with microphone to do the speaking). In my online account I then printed out the testing codes for each student to give them the day of the test and collect after testing. It says plan for 30 minutes per test, and that was right on with reading, listening and speaking for most students. The writing however, by far took the longest, at about an hour each. My students all brought headphones and went through the tests at their own pace, starting with listening or reading, then writing, and finally speaking. With our small number of students and them being at their own pace, they were able to spread out for speaking, with some choosing to use attached closets, entryways and offices to speak alone. Overall, it went faster than I though, with some finishing in less than two hours total, and the longest taking about three hours total. I know some teachers test in class if the whole class is taking it, and it would be kind of nice to have that break, knowing writing might take over a class period. I knew going in that this was our first trial run. My students were very nervous and many wanted to back out since they were afraid of not doing well. The reading and listening scores show up in your account soon after students complete them, but the writing and speaking can take a couple weeks. At this point, the scores I do have so far are kind of all over the place and not really what I was expecting. This group for the most part is pretty even and in class assessments typically scores in the low intermediate range (but I have not had formal OPI training). Most students have at least one lower score, and some random I3s and I4s and in Iowa at least I2 is required in all four sections for the seal of biliteracy. This means that hopefully my Spanish III students will continue on, take Spanish IV and bump up in their area needing improvement, but my current Spanish IV will not get that chance. The scores that confuse me the most are reading. This is the skill that I felt these students were strongest in as they have each read 10+ acquisition and culture based novels in Spanish. At the same time, I wonder if the Form A novice reading topics such as family, health, and life were too far removed from the more intermediate reading topics we have done more recently. I wish I could have them take Form B to see how they do on those instead. Almost every student got I1, with one higher and one lower. Also, I now realize that to do well on standardized tests like this more practice with interpreting authentic resources would be helpful. It is hard as a teacher to see tests scores and not take them personally. I am going to try to use them to show where I can learn and grow as an educator and how I can best possibly prepare my students for the future. I am appreciate that I have admin and students who are willing to try new things with me, knowing there is still room to learn and grow. I'm so glad you posted this. I was about to do the STAMP. Any particular reason you chose this test instead? Thank you for your reflections. We also found our reading scores to be "not quite right". Our students also took Form A. Our neighboring district used Form B, and almost all of their students passed all four components. I am wondering how reliable the assessment is and if enough teachers reach out to AAPPL or ACTFL to let them know our concerns, that students can have the chance to take Form B, free of charge. One teacher in our area had five students move up four proficiency levels with students simply retaking Form B ONE WEEK LATER. Just food for thought.